Inflammatory bowel disease (IBD) is an autoimmune condition that affects at least 3 million people across the United States, and is on the rise. 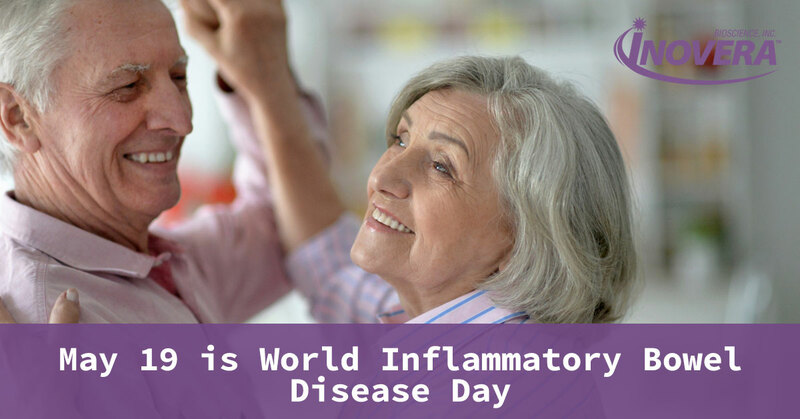 May 29 is designated as World Inflammatory Bowel Disease Day, and is commemorated by more than 50 countries around the world to bring recognition to the condition. In this post, we’ll take a look at what IBD is, how it can be caused, how it’s treated, and other helpful information. Inovera Bioscience is a company that’s dedicated to helping people who have IBD, as well as malabsorption conditions and more through specially formulated adult chewable and tablet forms. We’ve created our supplements based on the most recent research based on the body’s ability to absorb nutrients. We are also concerned with providing nutrients in a form that doesn’t aggravate the symptoms of other medical conditions. Learn more about Forvia and Forbones Xtra D, and shop from us direct from the website. Get yours now! Here are some facts about IBD. IBD is a blanket term that defines conditions relating to chronic inflammation of the digestive system, specifically, inflammation of the stomach and intestines, although the whole digestive tract from the mouth on can be affected. This condition includes two main diseases, which are ulcerative colitis and Crohn’s disease. It is an autoimmune disorder, which means the immune system attacks healthy cells in the body. IBD can seriously affect the lives of those who have it, and the disorder can also be life-threatening for some people. Use of anti-inflammatory medications (NSAIDS) such as naproxen sodium, ibuprofen, etc. Where most of the risk factors are beyond the scope of being affected by a lifestyle change, you can stop smoking and make modifications to your diet. Treating IBD can be a complicated process and involve a number of different options. Also keep in mind that what works for one person might not be effective for the next because of the complexity of this disorder. It is important to speak with your healthcare provider to understand why each treatment is ordered to gain a fuller understanding. Many of the treatments include lifestyle changes, such as following an IBD diet, working on stress management, exercising more, improving sleep habits, and taking IBD supplements. Comorbid disorders that accompany IBD could require more treatment, including surgery to repair perforations, ulcers, fistulas, and fissures. Because it is an autoimmune disorder, it’s possible that you’ll experience inflammation throughout the body and will need to take anti-inflammatory medications and steroids. If you develop blood clots, you may have to see a vascular specialist. Again, speak with your healthcare provider to determine what needs to be done to address each condition specifically. If you suspect you have IBD, make an appointment with your physician as soon as possible. You will want to discuss treatment options, an inflammatory bowel disease diet, and what lifestyle changes are necessary to reduce your flare-ups. If somebody you love has IBD, do what you can to raise awareness for it. Attend a local rally or event on May 19, and find ways to spread the word throughout the year. As of now, there is no cure for IBD, but with more awareness, the medical community can move closer to it. If you’re looking for IBD supplements, Forvia by Inovera Bioscience comes in two convenient forms: chewable and tablet. We have created this unique supplement that provides nutritional support for those who suffer malabsorption related to IBD, Crohn’s, ulcerative colitis, celiac disease, and more. It comes in chewable and tablet form, make it easier to consume. Forvia is made from the highest-quality ingredients, is made in the United States, and is laboratory-tested to assure compliance. Speak with your physician before starting any new supplement—when you’ve determined that Forvia is right for you, get yours online today!